Design for the Teacher Training College began as early as 1965, but a redesign slowed the construction process, and it was not inaugurated until after Vann Molyvann fled Cambodia for Switzerland in 1971. 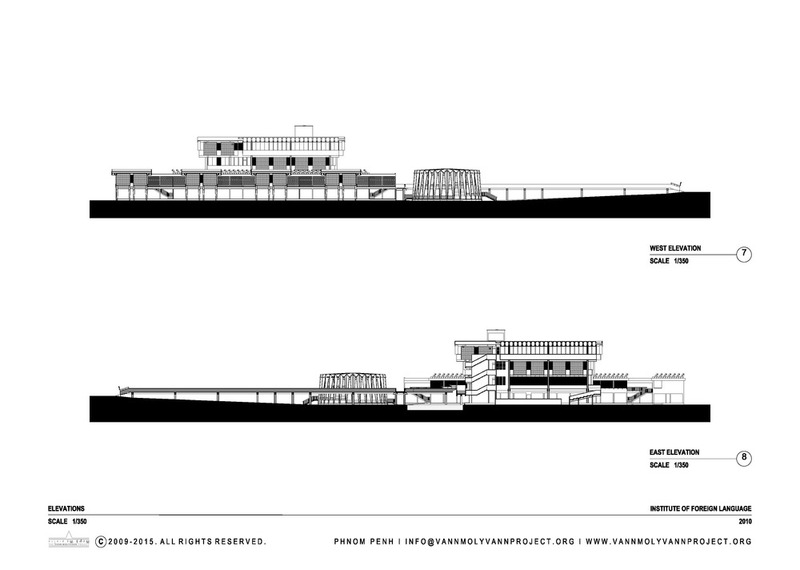 Angkorian site and building design is referenced throughout the College complex: elevated walkways link the central building to the main entry and to all the adjacent structures, barays flank the walkway entering the main building, a library sits just west of the central hall, and naga statues adorn handrails. As in the ‘hydraulic city’ of Angkor, water runs within much of the College’s structure, filling the small barays next to the central building. The project is a study in techniques of cross-ventilation, indirect lighting and water management—and in the architectural forms that best express them. 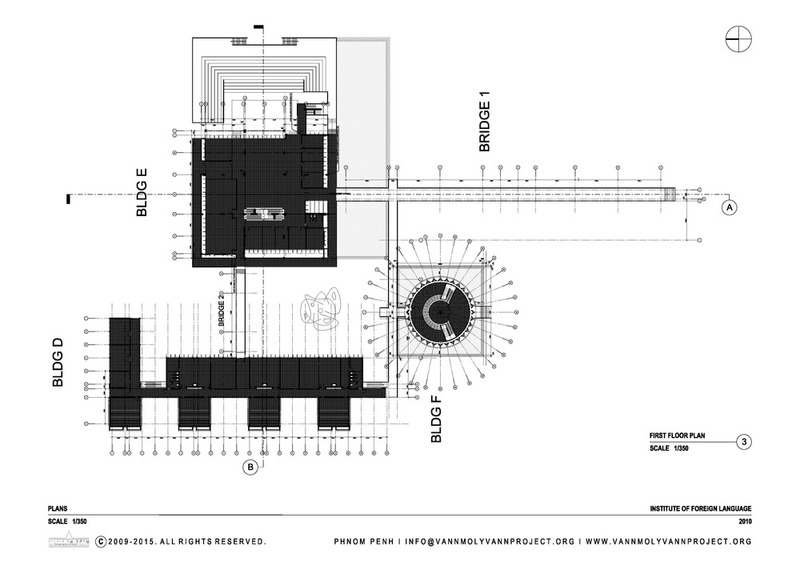 The central building inverts the temple-mountain form of Angkor Wat, allowing each floor to shade the level below; claustras and brise-soleils are used extensively throughout; folded concrete double roofs provide thermal insulation and screened skylights allow filtered daylighting. 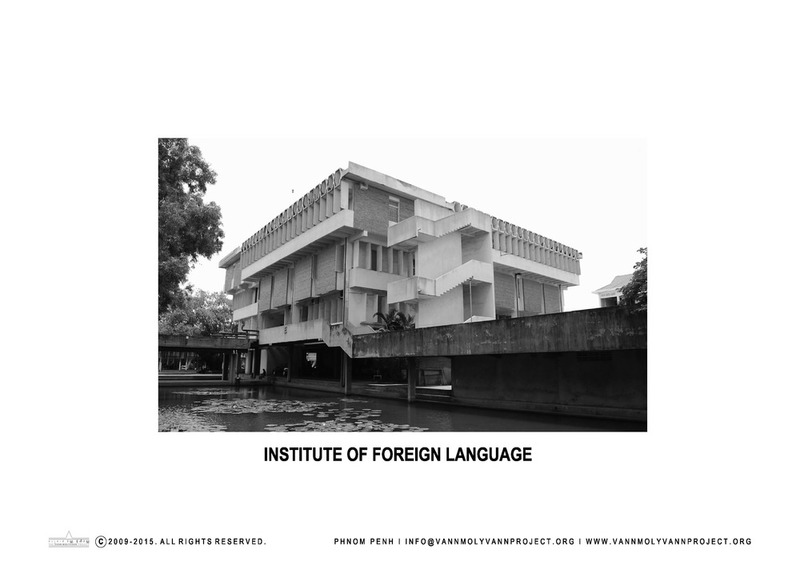 Now known as the Institute of Foreign Languages, the complex continues to fulfill its original program.